The Freestore Foodbank is here to help you in your time of need. We understand the hardships you are facing. From keeping a roof over your head, to having food on the table for your family, or preventing your electric from being shut off – these worries are real. We want to meet with you to determine how we can help. The first step is visiting us at our Customer Connection Center located at 112 East Liberty Street in Over-the-Rhine. Our staff is available to meet with you between 8:00 a.m. to 3:00 p.m. Monday through Friday*. 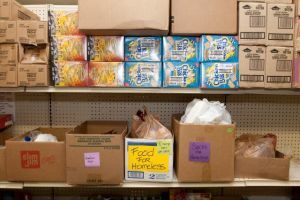 When you come to our Customer Connection Center, a Freestore Foodbank employee will meet with you one-on-one. We want to understand what is happening in your life so we can determine the best ways to help. Our programs and services are designed to help get you back on your feet. Food – We provide groceries for you and your family to give you one less thing to worry about as you work to make ends meet. Our Liberty Street Market is a choice pantry, which allows you to choose your items from the selection available, much like a regular grocery store. The Liberty Street Market is located at our Customer Connection Center and opens at 8:00 a.m. Monday through Friday. For assistance with Supplemental Nutrition Assistance Program (SNAP), previously known as food stamps, please contact Kam McKenzie at kmckenzie@freestorefoodbank.org or (513) 357-4620. Clothing – We have a variety of clothing for men, women and children, including suits for job interviews. 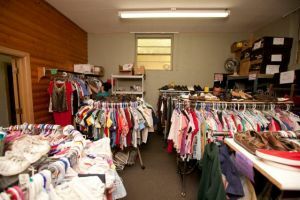 Our Back on Track clothing assistance program is located at our Customer Connection Center and is open from 9:00 a.m. to 2:30 p.m. Tuesday and Thursday. Job training – Our Cincinnati COOKS! program prepares you with the necessary skills and certification to help you find work in the food service industry. The free 10-week course operates in the Rosenthal Community Kitchen (1141 Central Parkway) 8:00 a.m. to 3:00 p.m. Monday through Friday. The program prepares you for ServSafe Certification and helps with job placement. Health Care Enrollment – The Freestore Foodbank is a “Navigator” site for the Affordable Care Act. We will assist residents in the counties of Adams, Brown, Butler, Clermont, Hamilton and Highland in enrolling in health insurance through the “Marketplace” (healthcare.gov) or Ohio Medicaid depending upon eligibility. Enrollment assistance is available at our Customer Connection Center from 8:30 a.m. to 3:00 p.m. Monday through Friday. Money management – Managing money can be a challenge. Our staff will work with you and your finances to help you move forward. Our Representative Payee program is available at our Customer Connection Center. Transportation – We can provide bus passes to help get you to work or a doctor’s appointments through Everybody Rides Metro. Bus passes are made available at our Customer Connection Center. Housing – From helping you find a place to live to making sure you make your rent for the month, we have a variety of services to keep a roof over your head. Additionally, the Freestore Foodbank works with a network of 450 community partners spread across 20 counties in Ohio, Kentucky and Indiana. These include food pantries, soup kitchens and shelters. If you have questions about the Freestore Foodbank’s services, please give us a call us at (513) 241-1064. 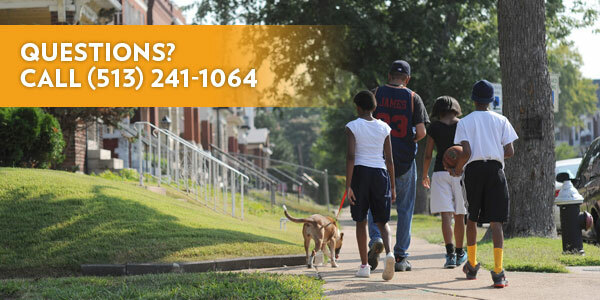 United Way’s 2-1-1 hotline is also available to connect you with resources 24 hours a day, seven days a week. United Way helps to support vital services at our Customer Connection Center.